The first living beings that we have trace of, through the collection of fossils, date back to three and a half billion years ago. They are the so-called “stromatolites”, organ-sedimentary structures formed by the interaction between organisms and sediment deposited on the bottom. These structures represent one of the oldest records of life on earth, easily found in Paleozoic and Archeozoic deposits, testifying to the existence of life more than three billion years ago. 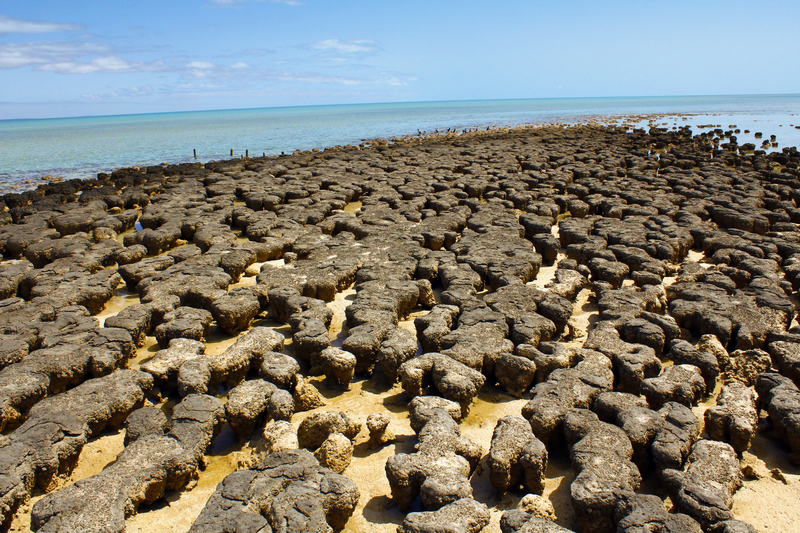 Currently they are formed in tropical climates: the photograph is of the the famous columnar stromatolites of Shrak Bay in Western Australia.